Corri Garza: Scrappy Moms May Release - Somebunny Wishes you a Happy Birthday! Scrappy Moms May Release - Somebunny Wishes you a Happy Birthday! Hi everyone! 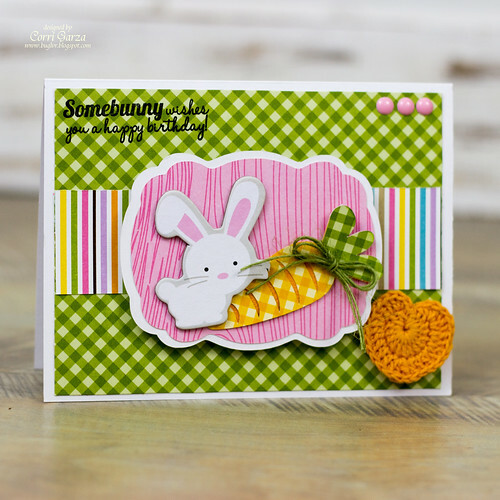 I'm back with another card using the new Party Animals set from Scrappy Moms Stamps! I love all these cute, punny sentiments. I used the Bella Blvd - Simply Spring Collection and a couple of cut files from Lori Whitlock. You can pick up the new stamps over at Scrappy Moms Stamps!